This very cold trip is fully reported with copious slides on this link. ...including Segovia, Aranjuez & Toledo. My diary entries & again, with copious slides on this link. The first attempt was a disaster, thanks to Easyjet. I broke the 'no flights' rule because the train times had been altered much to my disadvantage if I wanted to get to Austria again, as last year. 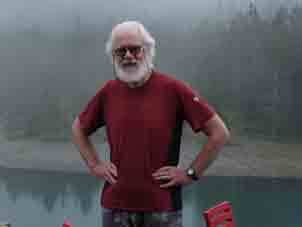 Easyjet did indeed, fly me to Innsbruck Airport but failed to take my rucksack. The next flight was four days later & the stupid Easyjet rep. at the airport suggested i stay in a youth hostel until it turned up! I caught the train straight back home via Munich & Paris. It took them 13 days to find & return my rucksack, an anxious time, as some of my equipment is 'old-fashioned' & irreplaceable, although the trendier modern equivalents are, in my opinion, not so good. This fiasco cost me almost as much as the proper trip in September, when I did go by train on a different expedition. Trains: Paris; Basel; Bern & to Brig, now quite quick. I stayed at the Schlosshotel Art Furrer in Brig after dinner at the Hotel Commerce. 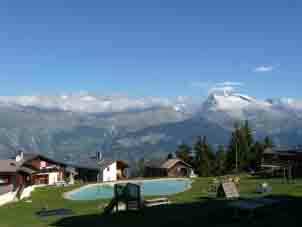 The next day, I walked up to the Ried gondola station & took it to Rosswald. There, things went badly wrong because of a misplaced signpost & I went rather a long way out of my way before discovering it & dropping 1000' to the correct path but I had wasted too much time & later, dropped onto the road to thumb a lift to the Simplon Hospiz, where I booked in for two nights. I have used this monastery before. It is relatively cheap but the ambience is rather special, even for militant atheists like me. The food is what they give you but they keep giving until you can eat no more. This is at long traditional refectory tables with much polyglot conversation. 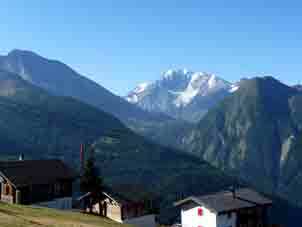 The next day involved the Simplon footpath on the South side & is reported on this link. The day after that, I left to take the third alternative footpath over from the Simplon to the Saastal & that is reported on this link. Also, as a result, the preceeding page now has much better photos & the whole Saas-Fee site has been upgraded to bigger photos. 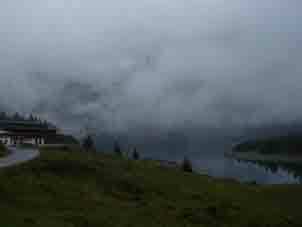 This day left me in the splendid Hotel Rothorn (web page in German, alas) in Visperterminen. The Tuesday had me walking the interesting path down from Visperterminen to Visp, taking a train to Leuk & a bus to Leukerbad, where I loafed around for the rest of the day, having booked into the Hotel Derby as usual here: the fifth time, I think. They remembered the last time, with Avis in 1998. The chef was off, so I had a very good, if expensive meal in the Restaurant City with live music. The purpose of this trip was to fill in gaps in the web site. 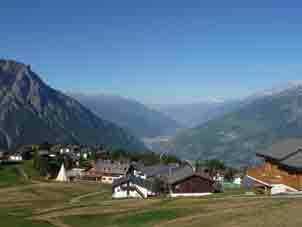 I had walked up the vertiginous pack-horse track to the Gemmi Pass in 1978 with a gammy camera, so this time, I did a thorough photo-essay of this unbelievable walk, fully reported on this link. Unfortunately, this was mostly in the rain. 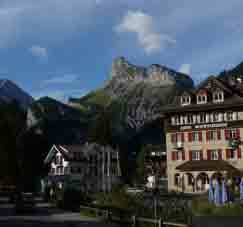 I walked on to Sunnbuhl for a very late dinner-at-lunchtime, took the cable car down (I am 67, now & was in constant pain from my hernia) & walked to Kandersteg, chatting to an old English couple on the way. I then stayed two nights in the Hotel zur Post. The last walking day was really drizzly & in thick cloud for most of the time & otherwise, in thin cloud. I walked up to the Oeschinensee in the morning & round behind the town in the afternoon. After rushing up to Manchester for Peter's funeral, staying two nights at the Bird's Nest in Glossop, now our preferred crash-out spot, we only had a couple of days before our ferry to take the van over to France. Hitherto, we have not said exactly where the Jones' chateau is but, as they rent it out, we have made an advert page for them on this link & there is a page reporting how to get there via the Auvergne on this link. There will soon be a page describing how to get ther via the West, hopefully by Xmas. What with her brother's death & the poor health of her sister, all of which did not really hit Avis until we returned from France, Ken grabbed the last cabin on a Fred Olsen cruise. This is all reported on this link. This page's URL: http://www.art-science.com/Xmas2010/travel2.html Last revised 1/12/2010 Copyright: ©Ken Baldry 2010 All rights reserved but print it off if you want to.